If you liked this show, you should follow EHS Network. Making Health and Safety a habit, instead of something people have to do so the company is compliant to legislation. The need to be specific – which habits are you talking about? How to determine which habits are most important to focus on? If we are talking about habits, we are ultimately talking about performance. How do you change performance? 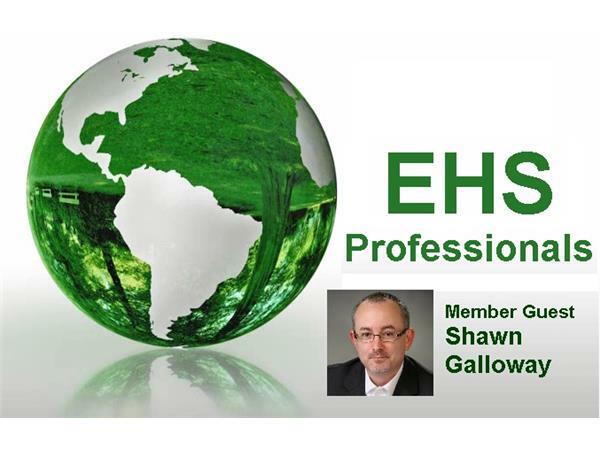 Show Guest: EHS Professional member Shawn M. Galloway. Shawn is the President of ProAct Safety and coauthor of the bestseller STEPS to Safety Culture Excellence. Shawn has consulted with hundreds of organizations within every major industry to achieve and sustain excellence in performance and culture. He has been listed in National Safety Council Top 40 Rising Stars, EHS Today Magazine’s 50 People Who Most Influenced EHS and ISHN Magazine’s POWER 101 – Leaders of the EHS World. Shawn has authored two books, 400 podcasts, 150 articles and 100 videos and is the host of the highly acclaimed weekly podcast series, Safety Culture Excellence.